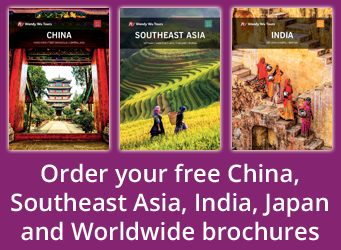 Stunning natural beauty, mysterious cities and ancient rivers – China offers an awful lot. Millions flock to the Great Wall, the Forbidden City and other man-made wonders. But the sheer size of China means there are also a many spectacular natural sights. Despite being one of the world’s leading innovators in technology and design, much of China still holds onto its ancient past and practises. So while you can still find staggering sights and attractions within the cities, the rural landscape is home to hidden treasures. The world’s fourth largest country is more than a Wall, and here we will guide you through the other wonders to gaze upon on your holiday to China. Unearthed in 1974 by workers who were digging a well just outside of the city of Xi’an in China, the discovery of the Terracotta Army is widely considered to be one of the great archaeological discoveries in the world. Thousands of life-sized clay soldiers were found poised for battle, each with its own unique facial expression positioned in rank. According to archaeologists, the army was part of a mausoleum that was created to accompany China’s first emperor, Qin, into the afterlife. Built for Emperor Qin Shi Huang, the 8,000 strong army is divided across corridors close to the largest single tomb to be built for a leader. It is believed that Emperor Qin wanted the army to help protect him and maintain his power and authority in the afterlife. Qin Shi Huang died in 210 BC, which means the army dates back over 2000 years. Despite this, some of the original paint can still be seen on the statues. 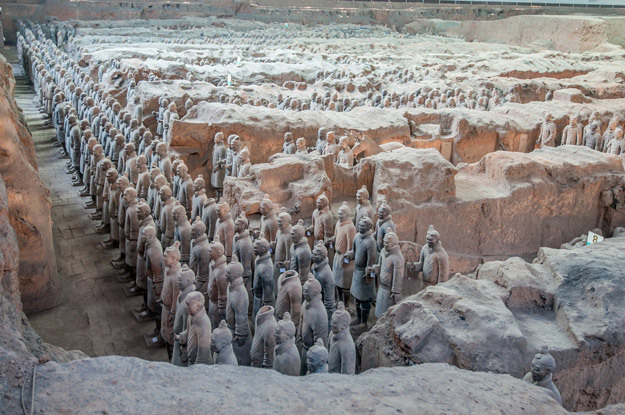 Experts believe that it would have taken 700,000 craftsmen several years to assemble the 8,000 individual soldiers. See the Terracotta Army on our A China Experience tour. The Yangtze River has been instrumental in China’s development for thousands of years, with many of the same practises being used to this day. A fundamental means of transport, food, farming and vital for the country’s economy, the world’s third longest river is worthy of being considered one of China’s must see attractions. Life along the Yangtze River dates back over 27,000 years when the Ba and Shu tribes resided in the middle stretch of the river between 770-476 BC. Stretching 3,915 miles across China, it is the world’s longest river that starts and finishes in the same country. 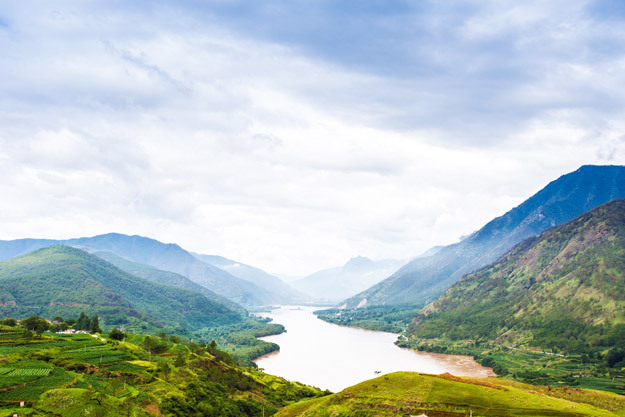 Cruise the Yangtze on our Majestic Yangtze tour. In the heart of Beijing lies the ancient home of 24 emperors from the Ming (1368-1644) and Qing (1644-1911) Dynasties, cloaked in mystery. The Forbidden City is an eerily beautiful sight that picks you up out of the rapidly developed Beijing and into China’s past. It is the country’s best preserved imperial palace and the largest ancient palatial structure in the world. 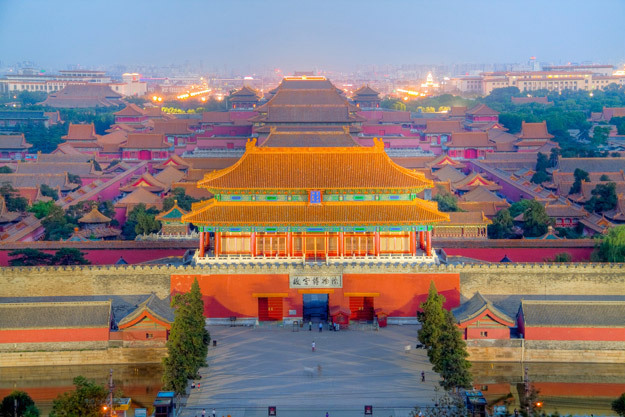 Listed among the five most important places in the world (along with the Palace of Versailles, Buckingham Palace, the White House and the Kremlin), the Forbidden City is the pinnacle of China’s architectural accomplishment. 9,999 rooms lie within 980 stunning wooden buildings, each of which are filled with ancient artefacts. As you approach the city you will make your way in through Tian’anmen, before reaching the outer court. Here lies the Hall of Supreme Harmony, Hall of Central Harmony and more. Into the Inner Court you discover the Palace of Heavenly Peace, the largest building in the three rear palaces. This is where the Emperor would sleep and also where their body would lie once they died. You will the exit towards the gardens, through both the Imperial and the Mental Cultivation Hall, where the Emperors and their wives would relax amongst the ancient trees, stunning scenery and intricate pathways. Explore Beijing on our Ancient China tour. 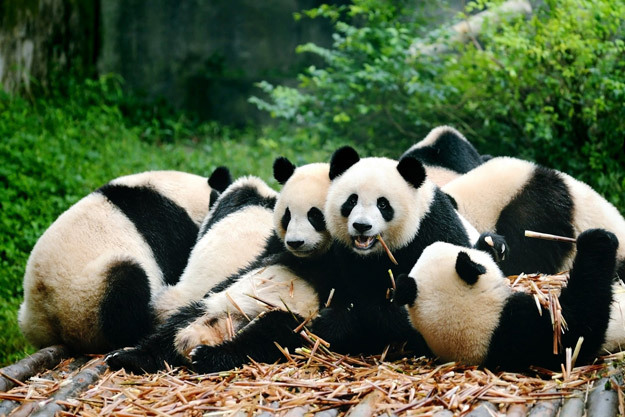 As the country’s national treasure and one of the world’s most adored animals, no trip to China would be complete without visiting the giant pandas in Chengdu. You can see pandas in some of the nation’s zoos, but at the Chengdu Panda Research Reserve you get to observe them in their natural habitat. The reserve is situated in the Sichuan province, where 80% of the world’s giant panda population lives, meaning that this area is the leader in conservation and research for these beautiful animals. Their cuddly, clumsy personalities will cast a smile on your face as your make your way around the reserve. If you’re lucky, you may even be treated to the sight of baby pandas, which is a great credit to the work that the centre is doing in not only preserving this species, but helping it thrive. Around the reserve you can also walk through the Giant Panda Museum, the only of its kind to focus solely an animal that was critically endangered. But now, thanks to the amazing work at the Reserve Pandas have made it off of the endangered list. See the Pandas on our In Pursuit of Pandas tour. Mystical, beautiful and majestic. Jiuzhaigou National Park is one of China’s natural secrets that has yet to be fully discovered by western tourists. Jiuzhaigou is a magical place to visit. As you walk through the park, the mist of the waterfalls glistens over the deep forests of ancient trees. As the woodland breaks you are faced with fairy tale lakes. 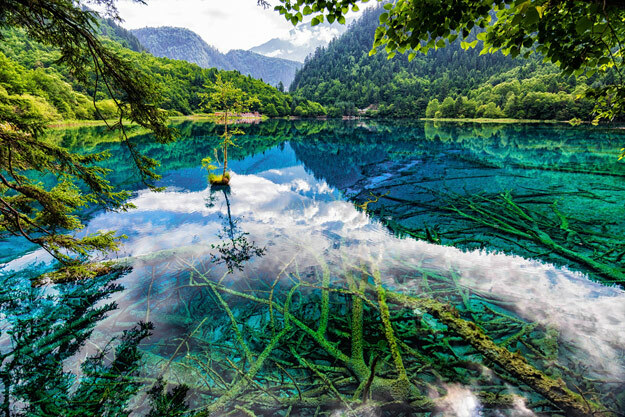 ‘Crystal clear waters’ are is often an overused term, but never has it been more appropriate than when describing the lakes in Jiuzhaigou. Submerged trees and foliage are clearly visible beneath the turquoise lake, as the surrounding landscape reflects of off the surface. 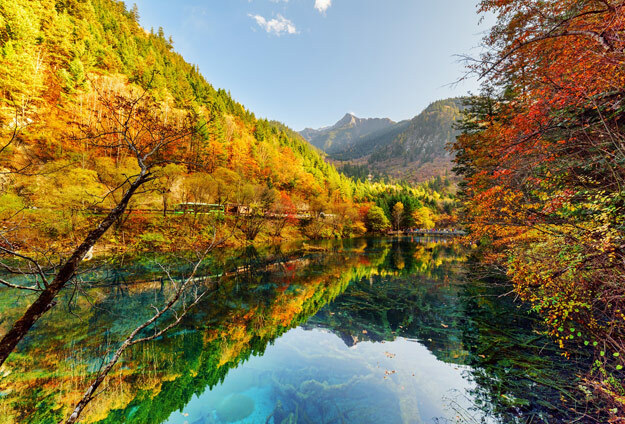 Explore Jiuzhaigou National Park on our Sichuan Explorer tour. The magnitude, power and length of the Yangtze River makes it a must-visit wonder in China, but the Li River in the south runs through some of the country’s most stunning landscapes. It has provided the inspiration for artists and poets for years courtesy of its natural beauty and dramatic geography. Today, photographers flood to the area to capture the essence of rural China. It is not the largest river you are likely to visit, but will be one of the most memorable. 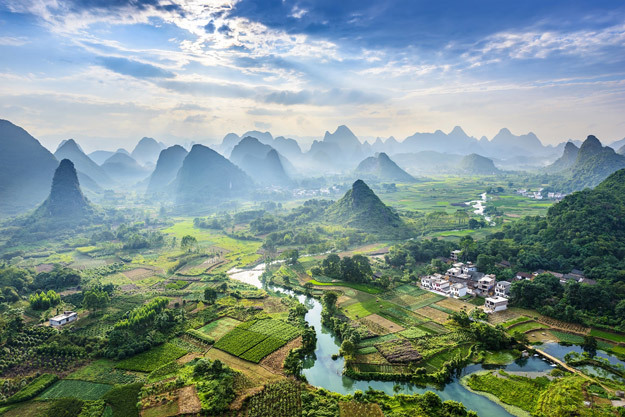 The section between Guilin and Yangshuo is regarded the most beautiful, thanks to the striking backdrop of farming villages and bamboo groves. 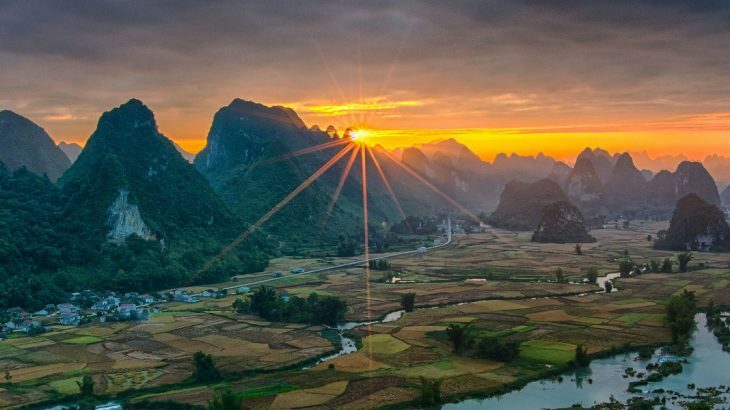 “Nestled under the karst mountains and hugging the Yulong River, Yangshuo offers visitors the perfect combination of outdoor activities and relaxation in an overwhelming beautiful – yet relatively unknown – locale. Listed as one of the world’s top ten watery wonders by the National Geographic in America, you can cruise the river on rafts or boats as you pass patrolling water buffaloes and some of China’s native wildlife. In terms of natural wonders, there are few that can compare to the Li River for its all-round beauty and for the overwhelming feeling of tranquillity that blankets you as you step into the world of rural China. Cruise on the Li River on our Glories of China tour. Interested in seeing the other wonders of China? Book a China holiday with the UK’s #1 China tour operator, Wendy Wu Tours. Our fully inclusive, escorted China tours visit all the major sights of this amazing country for a truly unforgettable holiday, including those off-the-beaten-track wonders and unique sights. China sightseeing, top things to see, tourism, unesco heritage site. permalink. Wow, you guys got me excited about China. It looks so beautiful. I hope to make it to China this or next year, fingers crossed.